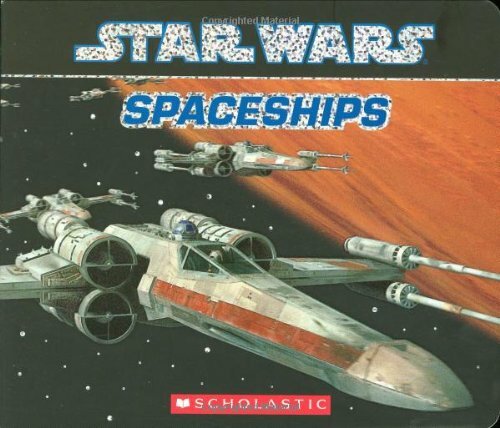 Publisher’s synopsis: A perfect introduction to the Star Wars universe, this board book features the names and images of the most iconic spaceships coupled with simple text, as the Millennium Falcon, TIE Fighters, and X-Wings blast across outer space. Designed for the young Jedi-in-training, Star Wars: Spaceships will take children to a galaxy far, far away…into an epic story that was a defining moment for many of today’s parents. The Force is strong with this book. Publisher: Cartwheel Books; Brdbk edition (January 1, 2010) COMING SOON! Publisher’s synopsis: A perfect introduction to the legendary Star Wars characters, this board book features the names and images of the most popular heroes coupled with simple text, as Luke Skywalker, Princess Leia, and Han Solo fight to save outer space. Publisher’s synopsis: Sabuda and Reinhart Studios have created another spectacular pop-up book for George Lucas’s epic STAR WARS movies! Bestselling pop-up artist and engineer Matthew Reinhart has designed a thirtieth anniversary commemorative edition that comes packed with a variety of novelty features — pop-ups, working light sabers, pull tabs, and other interactive looks at the exciting and popular movies. This beautiful book will impress all fans of STAR WARS and gives a whole new perspective to the films. 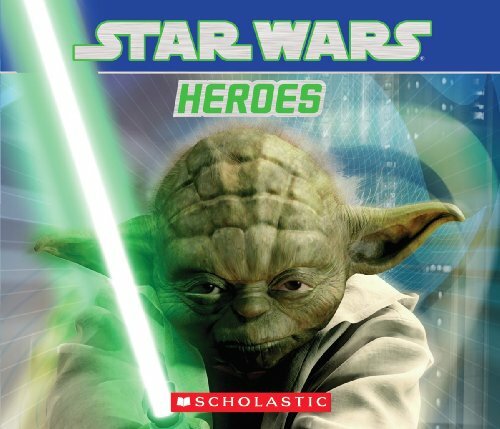 Publisher’s synopsis: With these new classic Star Wars(r) Readers, children learn about the fantastic Jedi Knights, rogue Rebels, heroic allies, and evil Sith Lords that are loved by several generations. From his humble upbringing on Tatooine to his Jedi training with Obi-Wan and Yoda, follow Luke Skywalker as he grows from boy to man to Jedi Knight. 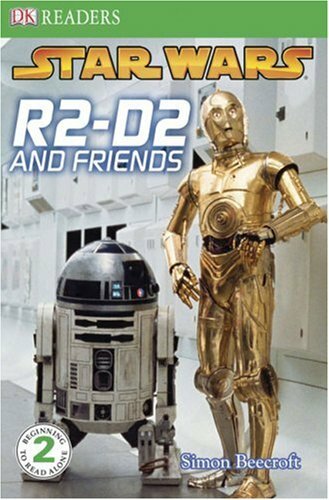 Publisher’s synopsis: R2-D2, C-3P0, and other droids, large and small, come to life in this classic Star Wars(r) reader. Publisher’s synopsis: More thrilling Star Wars episodes for young readers! Kids can continue their discovery of the fantastic Jedi knights, rogue rebels, heroic allies, and evil Sith lords that were loved by their parents’ generation, while strengthening their reading skills at the same time. Discover how a promising young Jedi turned to the Dark Side and became the most feared Sith lord in the galaxy. 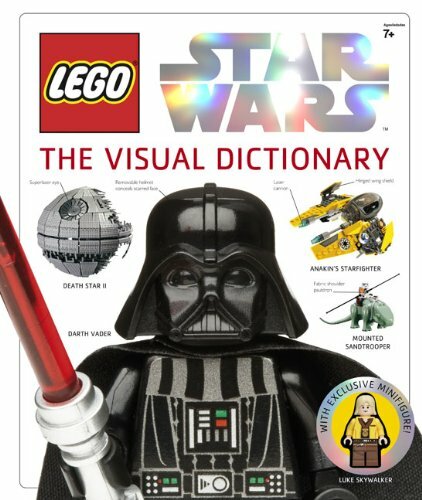 Publisher’s synopsis: In true DK style, LEGO® Star Wars™: The Visual Dictionary elucidates, illuminates, and excites even the most discerning LEGO Group, Star Wars™, and minifigure fans around the world.. Darth Vader, Boba Fett, Yoda, Luke Skywalker, and more are brought to life with dozens of little-known facts and hundreds of photos, as are accessories, vehicles, weapons, and even the Death Star! Learn about the history, manufacture, and construction of the minifigures of the Star Wars galaxy, and come away a LEGO® Jedi Master. LEGO, the LEGO logo, the Brick configuration and the Minifigure are trademarks of the LEGO Group. © 2009 The LEGO Group. © 2009 Lucasfilm Ltd. & TM. All rights reserved. Production by Dorling Kindersley under license from the LEGO Group. Publisher’s synopsis: It is a critical moment in the struggle between the Rebels and the Empire: the Force itself hangs in the balance, and all the hopes of the galaxy depend on the adventures of Luke Skywalker, Princess Leia, Han Solo, and a host of other heroes. Also in this series: Hostage (Book 2), Renegade (Book 3), Firefight (Book 4), and coming soon … Book 5. Publisher’s synopsis: Hidden away at birth, he would believe himself an orphan. Watched over by a mysterious hermit, he would discover incredible abilities. And by finding hope where others found only evil, he would restore balance to the galaxy. 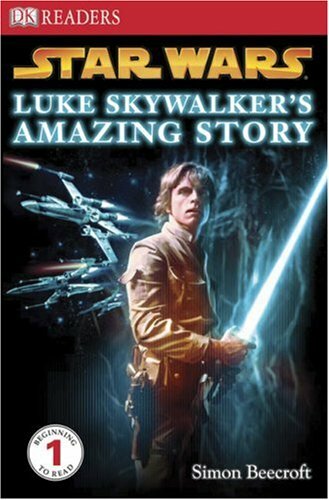 This is the incredible story of Luke Skywalker, as told by New York Times bestselling author Ryder Windham. 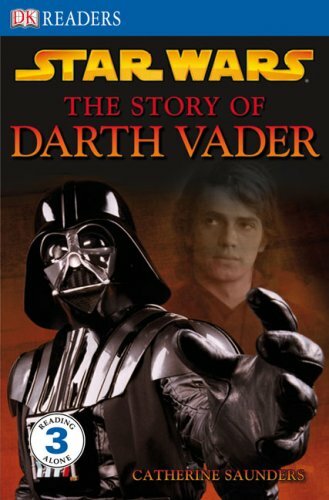 Publisher’s synopsis: The full story of Anakin Skywalker, from his birth in slavery to his death as the powerful Darth Vader … told for the first time in its entirety by NYT bestselling Star Wars author Ryder Windham. Spanning all six Star Wars movie and including the pieces of the story that fill in the gaps, this novel will be a must-have for any Star Wars fan. Leave us a comment: How old should kids be before you let them watch the Star Wars movies? The DK readers set of Star Wars books – especially levels 2-4 – are terrific for advanced first graders. My son is devouring them. The problem is that there’s not a big difference between level 3 and 4, and after 4 you’re done! What Star Wars books would be appropriate for the next level (2nd grade reading level) that are short chapter books? Admiring the dedication you put into your webnsite aand in depth information youu provide.